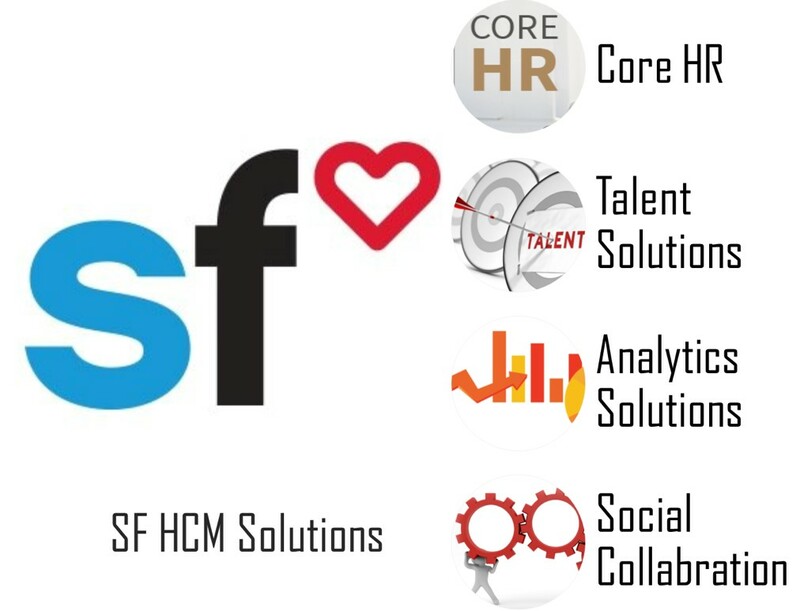 Success Factors HCM Suite | Welcome to Geodrive Solutions Pvt. Ltd. While every organization wants to simplify HR processes and create a modern workplace that truly engages its employees, managing the complexity of HR and meeting the needs of today’s highly diverse, global workforce can be challenging. How can you provide a core HR system that meets the global needs of your business and engages your workforce? With the SAP SuccessFactors Employee Central solution, you can optimize HR service delivery while providing personalized experiences that improve every employee’s workday. Because employees expect HR experiences to be in-line with what they’re used to in their personal lives, information must be personalized, contextual, and easily accessible – where and when they need it – through their preferred communication channel. The SAP SuccessFactors Employee Central Service Center solution provides employees with personalized HR policy information and the ability to reach out to the HR help desk directly through the system by phone or by e-mail. As organizations expand into new countries and regions to increase market share and find the right talent, there’s a growing need for organizational efficiency, insight, and compliance. Because local governments work in different ways and require specific processes to be followed, it can be difficult for local and global operating HR organizations to keep track of ever-changing processes and bring the right people in at the right time. With the SAP SuccessFactors Visa and Permits Management solution, you can administrate and automate visa and permits management processes in-line with local requirements to ensure you have the people you need to expand your business. Empower employees to manage their time-related information with greater ease on their mobile device of choice. In turn, managers can access their team members’ time-tracking information and quickly approve time-off requests. Put employee performance at the centre of your strategy to give your workers the direction, feedback, and recognition they need to perform at their best. Create a unique performance management process that accurately evaluates past performance and improves future performance. Boost employee productivity and show your employees that you value their contributions. Attract, motivate, and retain a highly skilled, diverse, and global workforce by adopting a strategic approach to compensation planning and management. Make on-boarding a strategic part of talent management by empowering new hires and internal transfers to ramp up and contribute to corporate goals quickly. Provide engaging, meaningful experiences that are aligned with talent processes such as learning, goal setting, recruiting, and core HR processes. Improve business decisions with trusted intelligence. Investigate challenges such as hiring, diversity, turnover, and performance. Share trends and insights with personalized headlines, HR dashboards, and reports. Equip C-level executives with real-time contextual information and ad hoc analysis. This next-generation board portal leverages lines of business data from SAP SuccessFactors, SAP S/4HANA and other applications to provide a single source of truth for the company. Employee health and well-being has become a top concern for many companies. Health and well-being has been shown to significantly impact workforce productivity, engagement and costs. It has become a critical area for customers faced with the growing demands of an “always on” digitalized workplace and an increasingly diverse workforce where five generations of employees are working alongside each other while facing different kinds of life challenges. Talent is the fundamental force behind business success and the key differentiator for organizations across the world. Globalization and new ways of working are rapidly changing how talent interacts with organizations, making it increasingly likely that the top talent needed by your business might not be — and might not want to be — on your payroll. Connect your customers, partners, and employees with key information and processes in the cloud. Streamline HR processes from hire to retire with enterprise collaboration tools. Minimize employee training costs through social learning, and share best practices to drive engagement. Between changes in the global talent pool and evolutions in how we work, a diversified workforce is no longer optional. Inclusive work environments have become a strategic business imperative that makes the difference between organizations that thrive, and those that fail. But traditional approaches to addressing the workforce diversity challenge, like training and measurement, have limited effectiveness and little long-term success. Methods that address underlying, unconscious bias and influence how we make decisions about our people are far more effective. As a cloud provider, SAP SuccessFactors must secure our customers’ data better than they can, and meet regulatory standards better than they can. The right combination of deployment models and best practices can help IT overcome these challenges. SAP SuccessFactors provides a comprehensive set of integration solutions enabling end-to-end business processes across the enterprise with a unified user-experience. With SAP SuccessFactors integration solutions, you lay the foundation for business success in the digital workplace! Productized integrations enable fast, low-risk, and low-cost connections between SuccessFactors and SAP solutions as well as with leading partners. For all custom integration needs a set of tools is available, ranging from simple (focus on business users) to powerful (focus on technical experts) and thus providing the best choice for every use case. SAP SuccessFactors User Experience (UX) refers to technology, user interfaces, and interactions of all applications and solutions developed by SAP SuccessFactors via web and natively built applications for the iOS and Android mobile platforms. SAP SuccessFactors provides a simple, intuitive, engaging, and cohesive user experience that helps maximize employee engagement and boost productivity. Manage workforce changes in real-time. Whether its processing a leave of absence, a promotion, or onboarding a new hire – Intelligent Services consolidates all relevant transactions across the SAP SuccessFactors HCM suite and third-party systems to deliver an improved, intuitive user experience for employees, managers, and HR.